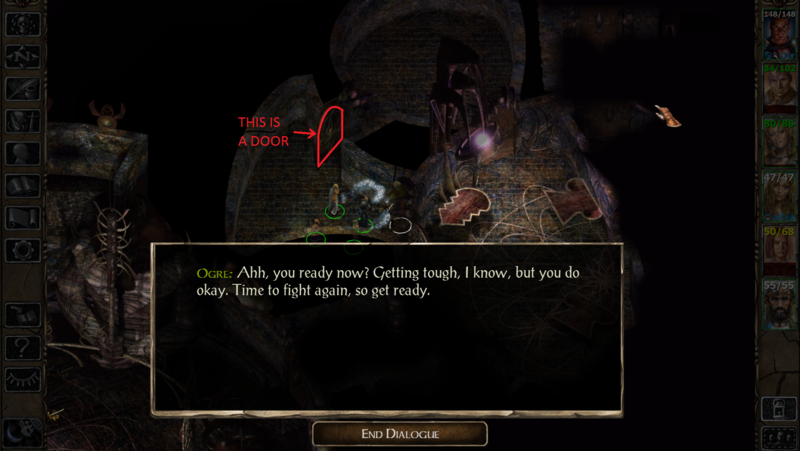 stuck in Chapter 5 - "Time to fight again"
I am at a place where an ogre tells me something and I have to fight a bunch of Umber Hulks repeatedly. How do I escape the place? In the cell next to you there are githyanki. Talk to them. It should, but it might take a couple minutes and a fight or two. How long have you waited after talking to them?